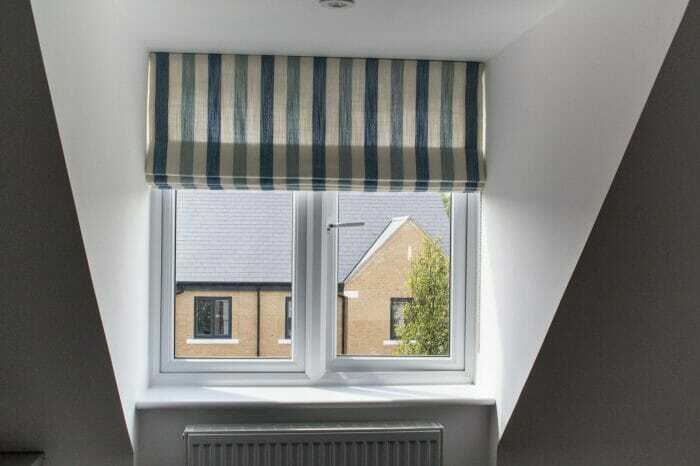 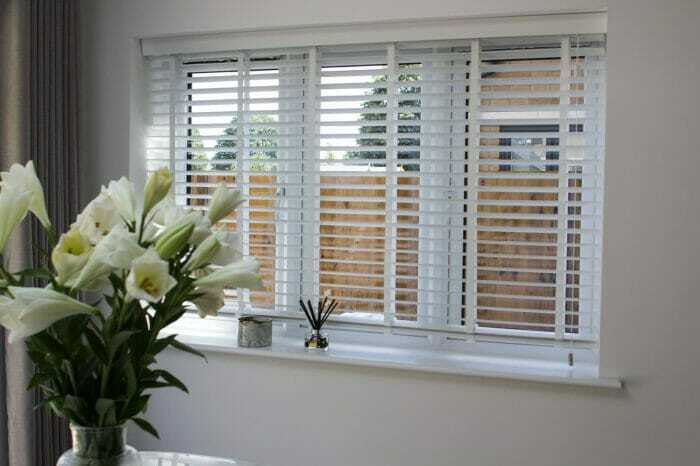 Designer Curtain and Blinds, 4 Bedroom House, Imber Riverside, Orchard Lane, East Molesey, KT8. 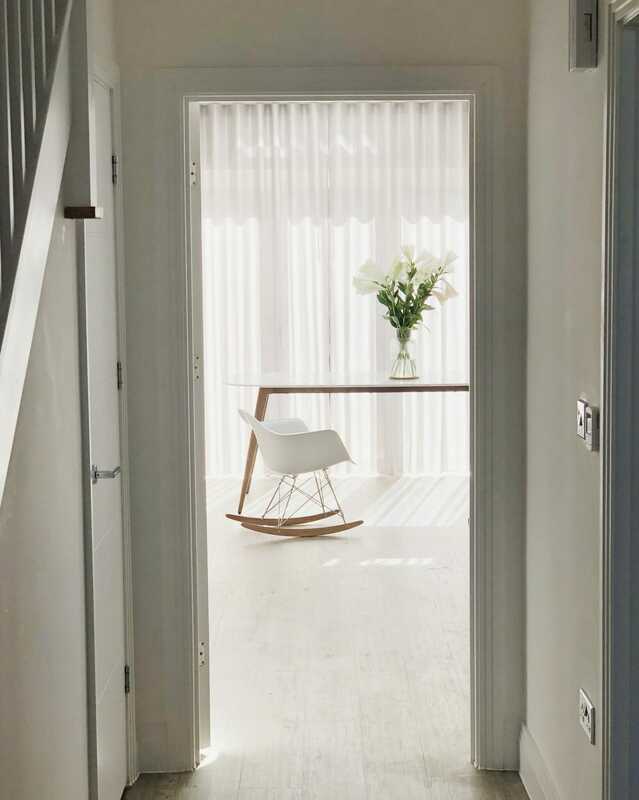 The project including a mix of Curtain, Roman, Sheer, Roller and Wood Venetian blinds was undertaken on a new build CALA house. 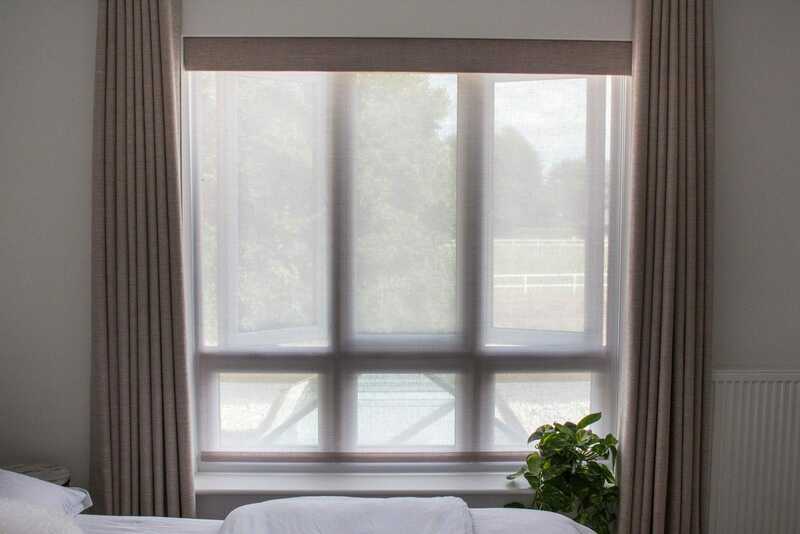 Our customer required simple yet stylish window treatments. 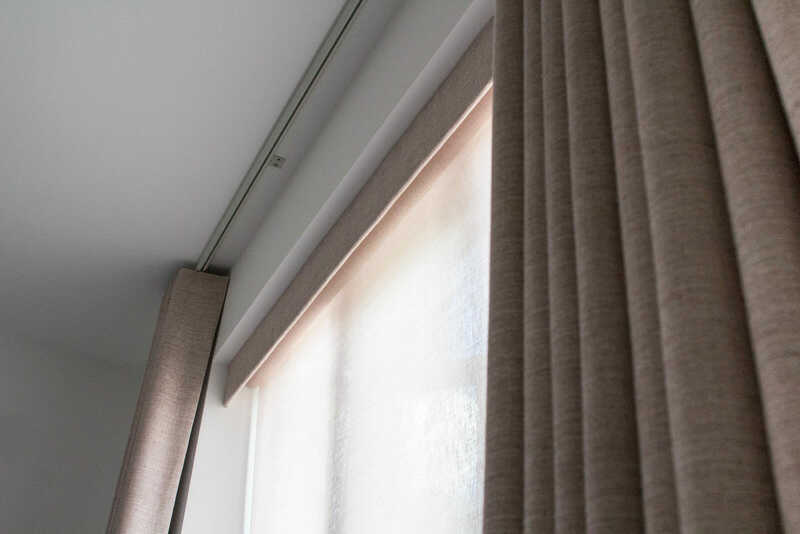 Warren undertook the design visit exploring with the customer their taste and discussed the practical working elements of the window coverings. At the measure and design visit fabric, blind and pole samples were selected with some further choices added at our studio. 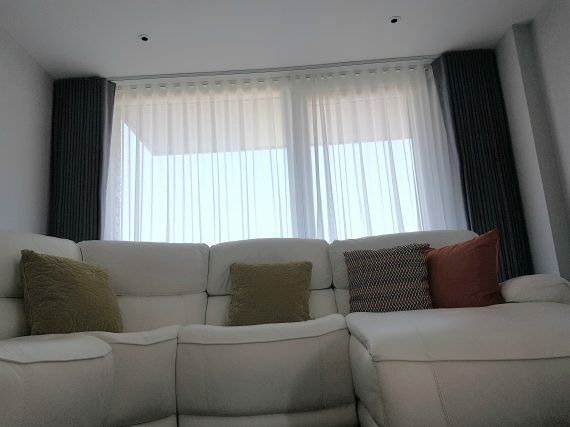 Fabrics used were by Villa Nova and Romo. 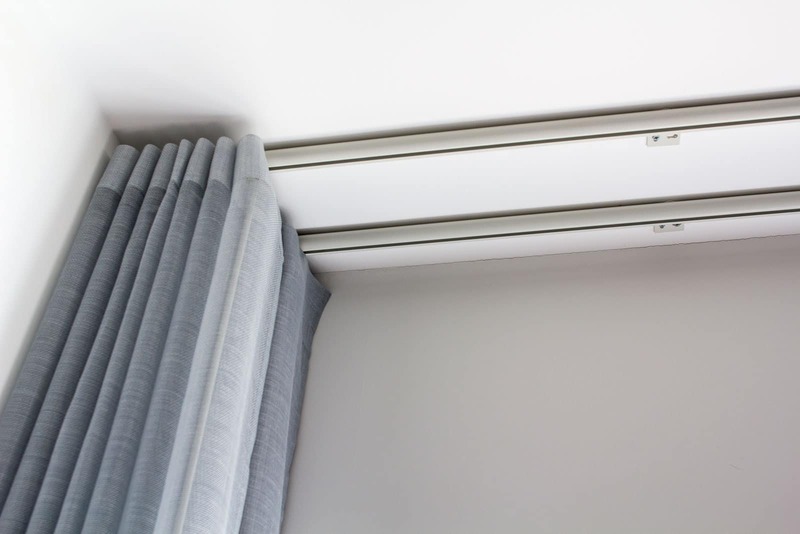 Designer Bradley Collection glider curtain poles were selected in colors used to compliment fabric choices. The order included a clear lamination process luxury designer sheer roller blind in Haiti fabric coupled with a fabric pelmet same as curtain fabric to hide the blind mechanism and further embellish the overall design. 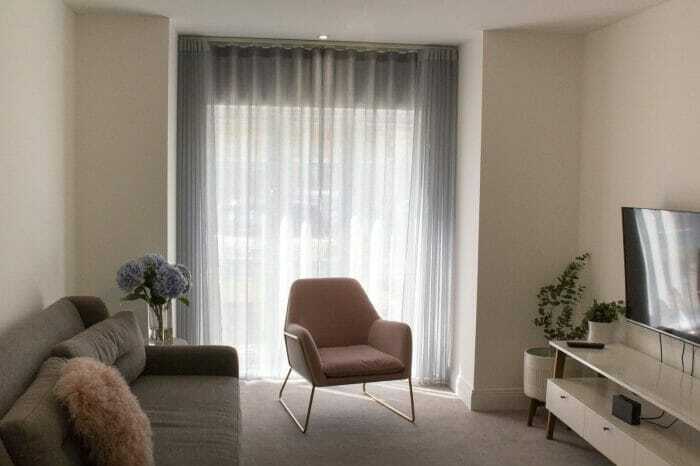 OTRT Interiors are always looking to be innovative and were particularly happy with a dual sheer design to the living room explored with our equally stylish customer. 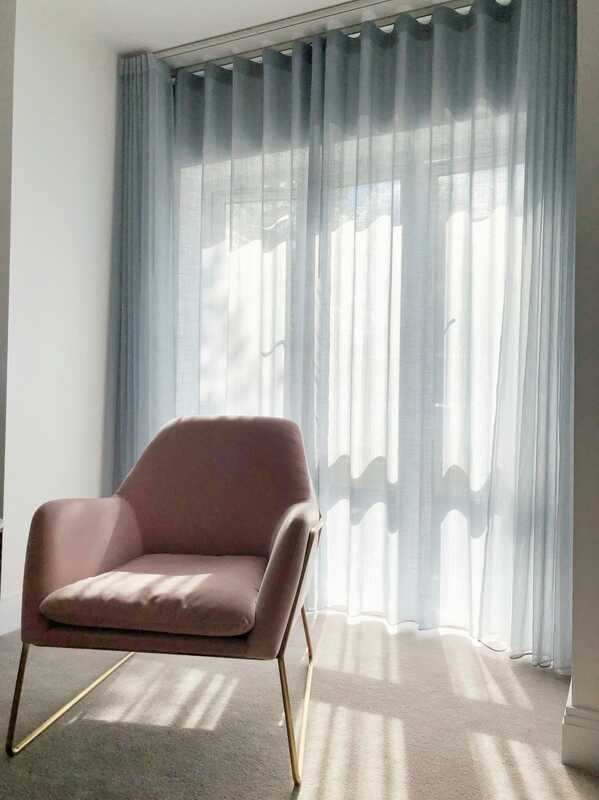 With the combination of an open weave and closer slub weave wave sheer (very posh net or voile curtain for those not in the know :)), This layered sheer curtain effect was extremely effective, fluid and beautiful. A curtain design not lined like conventional curtains but very effective offering two levels of privacy through the 2 layers of sheer curtains both hung from curtain poles installed to the ceiling.